For the most part, Central Oahu is a less traveled area among visitors to Hawaii. But if you rent a car when you’re on Oahu and find yourself doing a circle island tour, these are some spots you may want to give a look to stopping by. Dole Plantation to get the ultimate Hawaiian pineapple experience! The places on this list generally go from south to north, which is the direction you’d be driving if you’re coming directly from Waikiki to Central Oahu. Explore the map of Central Oahu! These types of maps are best explored from a desktop. But if you are arriving on this page from mobile Pinterest, first open up this page in your web browser, and then click on the map! This is one thing on this list of things to do in Central Oahu that you can make as short as you’d like or as long as you’d like. You could easily spend a full day here, but at the same time, if you’d like to do other things on Oahu too, you can make this a quick visit. 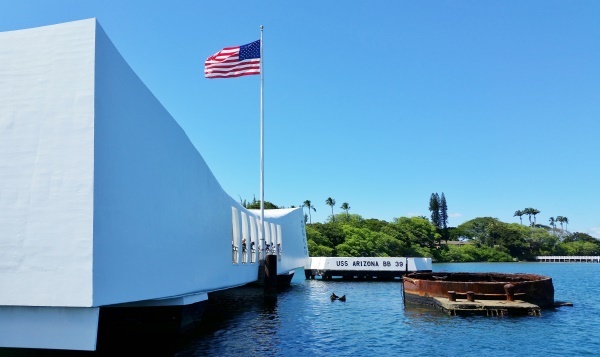 If you want to keep it short, it might not be reasonable to visit the USS Arizona Memorial, which is the place that’s commonly thought of as the Pearl Harbor Memorial, unless you reserve your tickets online in advance. But it could still be worthwhile to explore the informational signs along the harbor for a better understanding and appreciation of the tragic events that took place at Pearl Harbor. Visiting the site grounds is free. 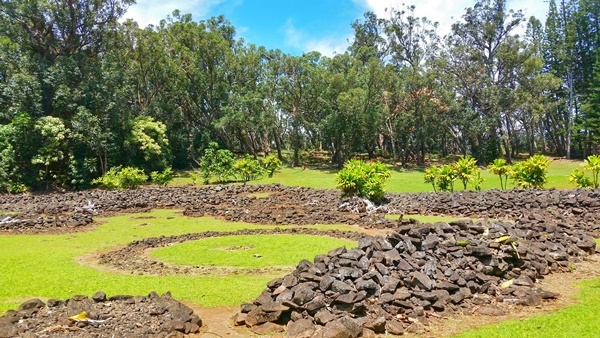 This is an ancient Hawaiian temple, called a heiau, that’s located within a state park. 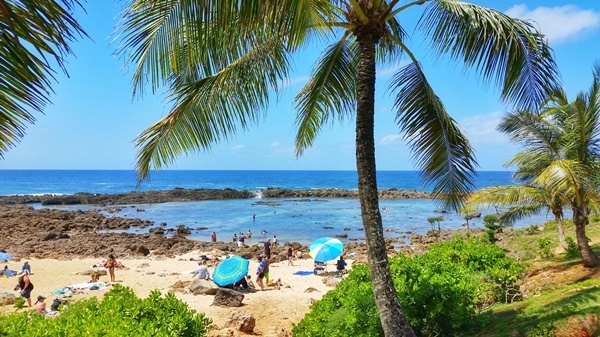 The name of this Hawaii state park comes from the heiau, and it’s called the Keaiwa Heiau State Park. You’ll see the sacred grounds that native Hawaiians once actively used immediately upon entering the park. This hiking trail is located within the Keaiwa Heiau State Park. 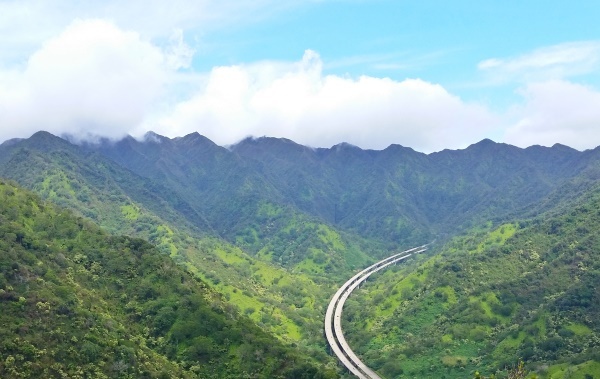 The Aiea Loop Trail is a dirt hiking trail with variable terrain that’s about 5 miles long, so you’ll want to give yourself 2-3 hours to complete it. It would be a very good idea to make sure you come prepared for a hike if you’ll be doing this trail! This can be a quick stop on your way to the Dole Plantation, since the Kukaniloko Birthstones are located a couple of miles down the main road from the famous plantation. 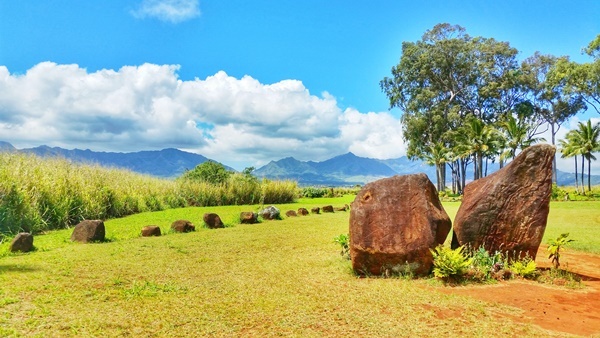 This is another site of great importance to Oahu, and it’s designated as a Hawaii state historic monument. You’ll walk down a road off of the main highway to get here, and this site visit also comes with a scenic backdrop! Well, if you love pineapples, how can you not stop by for at least part of the ultimate pineapple experience in Hawaii?! The Dole Plantation is another one on this list of things to do in Central Oahu that you can easily spend a whole day here, but if you want to make it a quick stop, you can easily do that too. There are plenty of things to do at the Dole Plantation to keep you entertained, like the train ride, gardens, and the maze. 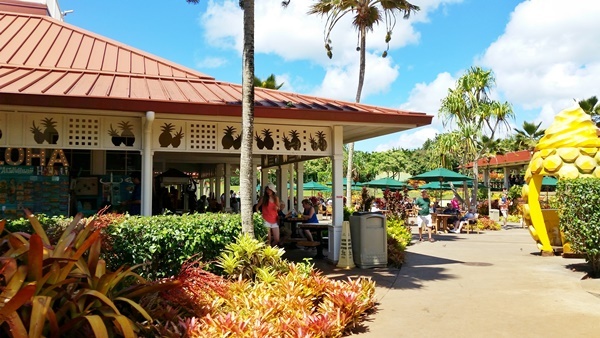 But for a quick stop, there’s the gift shop that’s full of more pineapple products than you’ve probably ever seen at once, and of course… food! The most famous item on the menu is probably the Dole pineapple whip. And after you’ve had it, you just may want to make your own Dole whip at home! And once you’ve passed the Dole Plantation coming from Waikiki, you are almost to the North Shore! So next, find some things to do on the North Shore!